* Created a word cloud using ABCya or Tagxedo using the vocabulary list you created in Lesson Four. You must use Safari for it to work. * Uploaded the world cloud into your website on your BEAUTY page. 1) Make sure you have the beauty word worksheet with your two lists of words. 2) Select either ABCYa.com or Tagxedo to make your word cloud. 3) Create two word clouds - One that has the negative words about beauty and one that has positive words. Make sure you select a font and colour scheme that helps reinforce the different emotive responses that these two word lists make. 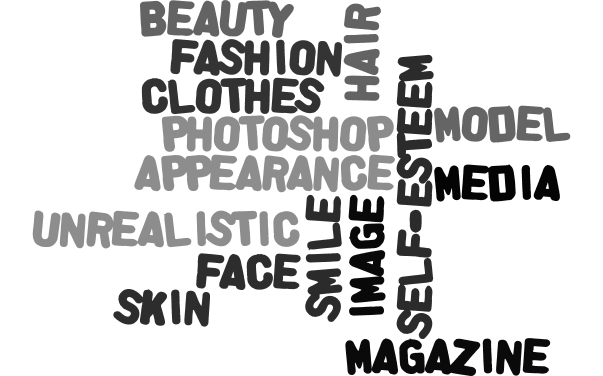 4) Take a screenshot of your word clouds & use the Image icon to add them onto your page about BEAUTY. * A range of quotes or definitions about what is real beauty. * A gallery of images that describe what is beautiful to you ( a sunrise, flower, waterfall etc). You can be as creative as you like. 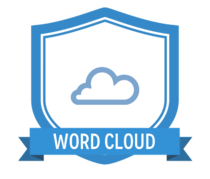 To claim this badge you must attach a link to the website page where you have created your two word clouds (this should be your BEAUTY page).